This week is abundant with tea events!!!!!!!!!!! Lots of new people, companies and tea lovers are doing tea related events, and you know what? It makes me really happy! I take it as a sign that tea culture is finally picking up and becoming popular. That proper tea is seen as a great way to spend time and tea is becoming a drink that people tend to choose as an alternative to coffee. My heart is expanding with joy! So here is a list of tea events this week for you! I am sure these is a tea event to suit any taste and any availability! 1. 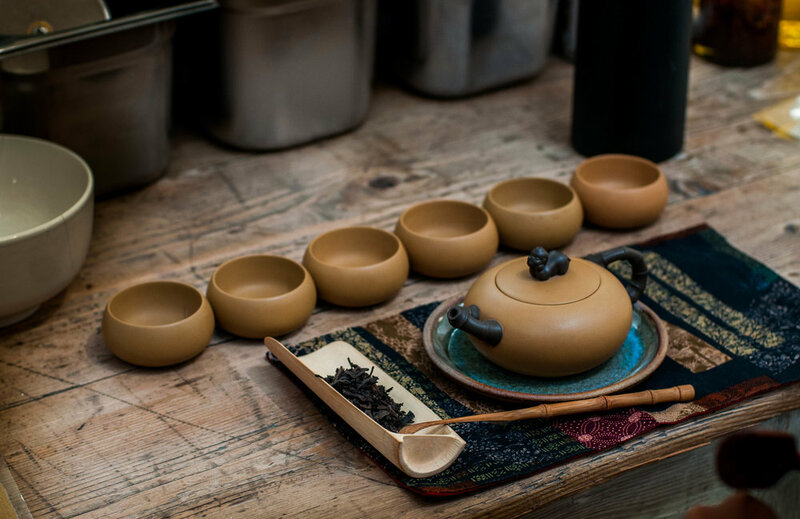 Saturday, 18 April, at 10am – Postcard Teas School - 3rd Saturday – Shades of Green – Green teas from Japan, Korea, and China, £20, ADAVNCED BOOKING is ESSENTIAL! Tasting four great teas and learning lots about them in the beautiful surroundings of Kensington Gardens in Hyde Park. The following teas will be tasted: Shou Mei white tea, GABA oolong tea, GABA red tea and Ginseng oolong tea. Your guide into the world of tea here is the Daoist master with decades of practice and experience!!!! 3. Sunday, 19 April, 11-5pm - A POP UP ORIGAMI POETRY CAFE with Tea, on Regents Canal not far from King's Cross, £10. I have never been to one of these before, and it seems to be organised by the Chinese descendants from Hong Kong, who are passionate about maintaining and promoting chinese culture in the West. Looks lovely!